We also encourage you to see if your church would like to have come and share the heart of our ministry. 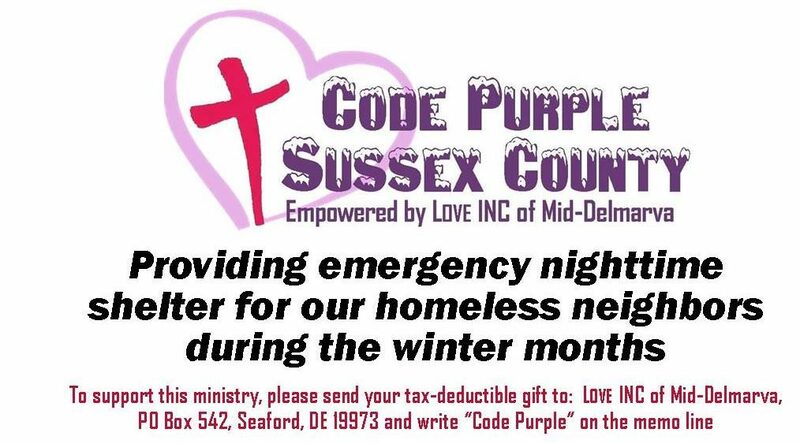 You may want to be a host Code Purple church for one or two weeks of the season. Let us help you get involved. Remember not one church can do it all but if we all work together, we can effect much change for The Kingdom. We thank everyone that has participated in the past and look forward to a great new season.